The Atomic Weapons Establishment (AWE) is building a high-performance computing (HPC) cluster based on the SGI ICE XA system to support Trident weapon testing. Real-world tests of nuclear warheads are banned under the Comprehensive Nuclear Test Ban. But AWE said the supercomputer will enable it to simulate nuclear tests for the continued development of the UK's Trident nuclear deterrent programme. AWE is believed to be one of the first customers of the SGI supercomputer, which has been designed for petascale computing. The system, to be configured and installed by SGI, will comprise two SGI ICE XA machines, running Intel Xeon E5-2600 v3 processors, to simulate nuclear warhead testing. IT administrators offer advice on testing and networking performance considerations before running HPC in the cloud. HPC systems pump up the processing power in enterprise datacentres, but can be hard to keep in peak condition. Here are five ways to maximise HPC application performance. Aircraft manufacturer Airbus develops modular datacentre approach to boost its HPC capabilities required to develop the next generation of aircraft. The supercomputer features SGI’s E-Cell warm water cooling technology, along with optional flexible extension capabilities for accelerators and storage. "High-performance computing is a critical aspect of AWE, underpinning the vast majority of our science-based programme, so we’re continually looking for ways to enhance and support the work conducted," said Paul Tomlinson, head of high-performance computing at AWE. "Following the successful installation of our last supercomputing system from SGI, we turned to the company once again to help us take the next step in advancing our high-performance computing capabilities. We’re confident that the purchase and eventual installation of the new ICE XA systems will enable us to quickly advance research and development so that we can continue to underwrite the safety and effectiveness of the Trident warhead in the Comprehensive Nuclear Test Ban Treaty era," he added. The supercomputer can scale from hundreds to tens of thousands of nodes, offering 191 teraflops of processing power per server rack, according to SGI. 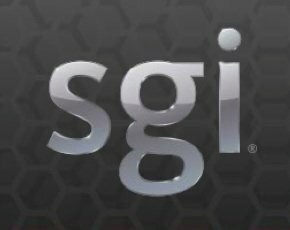 SGI said AWE would be one of the first customer installations globally of SGI ICE XA. "Users will benefit from a high-performance computing system with industry-leading energy efficiency that has been specifically designed to run complex workloads at petaflop speeds," SGI said.